Texas’ storms can affect our homes in many ways, from strong winds that blow off shingles to softball sized hail that breaks through roofs. Choosing the right roofing contractor is critical, ensuring that the roof protecting your home is safe right now and for years to come. As part of the local community that we have been serving since 2015, your business truly means the world to us at Belmont Roofing. We are built with YOUR trust and proven by time. Your roof was damaged by a storm. Since you have insurance for these scenarios, it will be up to the insurance company to determine the extent of the damage, what needs to be done to fix it, and how much it will cost to fix it. Rather than initially calling Belmont Roofing directly, you’ll want to work with your insurance company to file a claim and have an adjuster inspect the damage. You will not be responsible for charges beyond your deductible; the insurance company will cover the cost. If you are unsure if there is damage, your insurance company may request that you have a respectable roofing company inspect the roof first. That’s great — we’re happy to help do that! 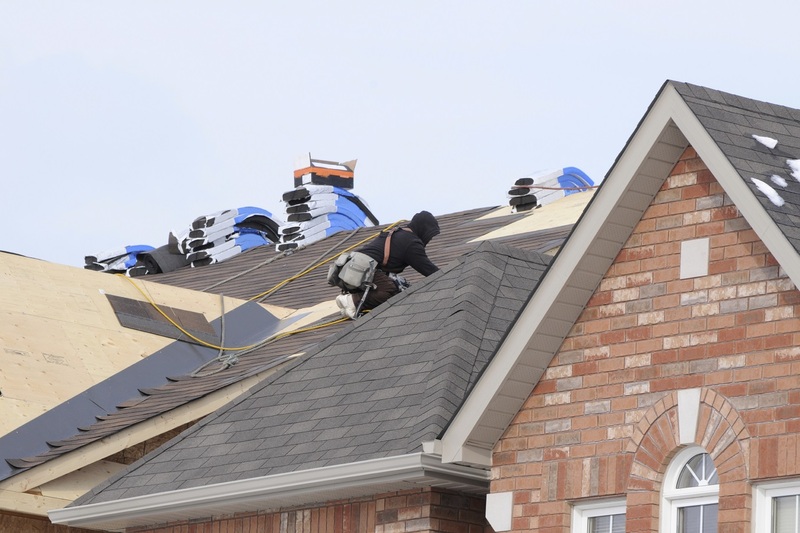 But if there is catastrophic damage (and some insurance providers are considering the storms this summer catastrophic), many companies do not require an inspection from a roofing company prior to an adjuster’s inspection. The insurance adjuster visits your home to do an evaluation and creates a report of the work to be done, which includes a detailed analysis of the costs as they are established by the industry in your particular region. The insurance company sets their prices based on industry standards and pays accordingly. Your only task in this step is to locate a reputable contractor who will do quality work, whether by insurance recommendation or independent research — which we hope, for you, is Belmont Roofing. 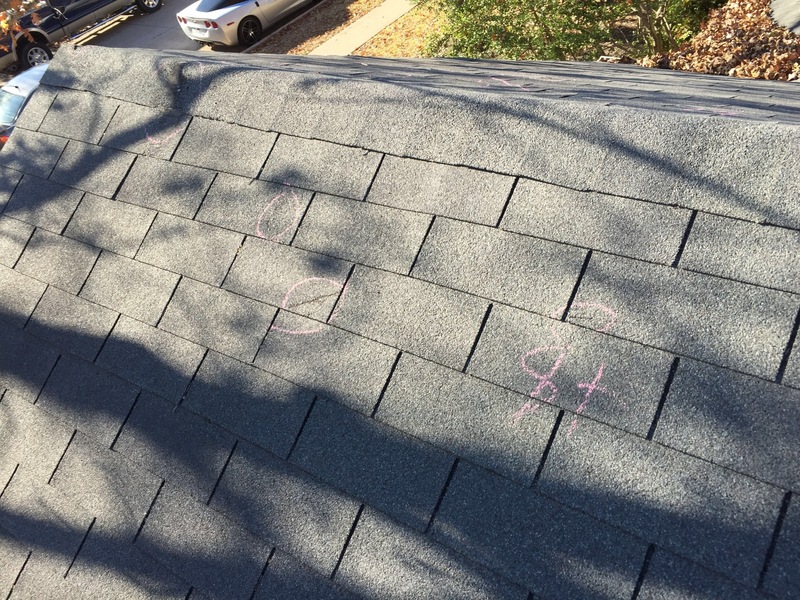 After the adjuster provides a report with the scope of work needed, we will meet with you to discuss an addendum that details the actual specifics (such as shingle color, gutter work, etc.) of the work to be performed. Once signed, this serves as the contract between Belmont Roofing and you, according to the insurance company’s specifications. We will then schedule you as soon as possible to have one of our expert roofing crews replace the roof on your home. It may not be immediate, but since Texas’ hail season can last for a few months, as long as your roof isn’t leaking, it can be to your advantage to wait a little while to have the work done! The last thing any of us wants is to get the roof replaced, only to have another hailstorm ruin it and have to do it all over again — with another deductible for you! So a little patience can save you a lot of headaches (and cash) in the long run. In the meantime, we do have a team that can temporarily patch any leaks your roof may have to keep it safe until the time comes to install an entirely new roof and gutter system.